A.W. Tozer | Pray for Revival! You are currently browsing the category archive for the ‘A.W. Tozer’ category. 1. Get thoroughly dissatisfied with yourself. Complacency is the deadly enemy of spiritual progress. . . . When speaking of earthly goods Paul could say, “I have learned to be content,” but when referring to his spiritual life he testified, “I press toward the mark.” So stir up the gift of God that is in you. 2. Set your face like a flint toward a sweeping transformation of your life. Timid experimenters are tagged for failure before they start. We must throw our whole soul into our desire for God. . . .
4. Do a thorough job of repenting. Do not hurry to get it over with. Hasty repentance means shallow spiritual experience and lack of certainty in the whole life. Let godly sorrow do her healing work. . . . It is our wretched habit of tolerating sin that keeps us in our half-dead condition. Is Our Prayer Life Satisfying? A.W. 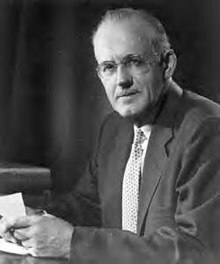 Tozer: We Must Pray for Revival and Obey Jesus! Have you noticed how much praying for revival has been going on of late – and how little revival has resulted? I believe the problem is that we have been trying to substitute praying for obeying, and it simply will not work.